“Entering a Superloft is an experience. Get carried away through the Superlofts and experience the openness and unique characters of the lofts in Superlofts the Movie”. Superlofts Houthaven nears completion: the first lofts will be ready this month. The Dune House has won an Award at the Wood, Design & Building awards initiated by the Canadian Wood Council. Dune House has been shortlisted in the Small Projects Prize for The World Architecture Festival 2015, taking place in Singapore. Design: Sophie Valla architects + Marc Koelher arch. 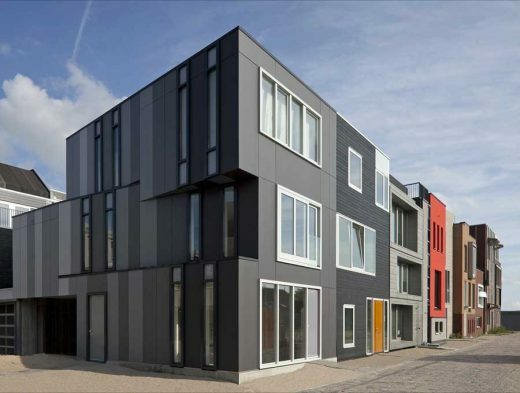 In Leiden, private commissioning was chosen for the development of the residential area Nieuw Leyden on the former slaughterhouse site. For the house in the corner plot that the studio Sophie Valla Architects and Marc Koehler Architects were asked to design, the corner was chosen as starting point and inspiration. The end result offers the inhabitants an unexpected sense of space and changing views. 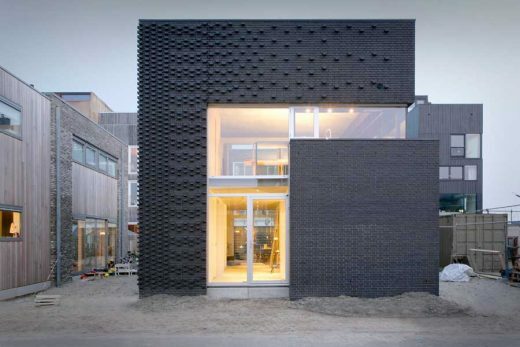 The 140 m2 house is located on a small plot in IJburg; a recently developed suburb of the city of Amsterdam. The house is designed as a vertical garden giving space to flora and fauna to grow in a densly urbanised area. Closed private spaces contrast with open collective spaces, that seem to have been ‘carved out’ from the solid volume as a continous transparent void. In this way the interior space is visually and physically connected to the street, the garden and roof terraces. Outdoor- and indoor spaces become one and natural daylight flows into the interior. July 15, 2011 in Architects.